Celebrate National Fried Chicken Day with a Head to Head Fried Chicken Off on Fried Chicken Friday, July 6th, 2018! Keep the party going after the 4th of July at Constitution Yards Beer Garden & celebrate the most ‘Merican Food there is…FRIED CHICKEN! NEW TO THE COMPETITOR LIST! This is the Head to Head Battle we want to see! 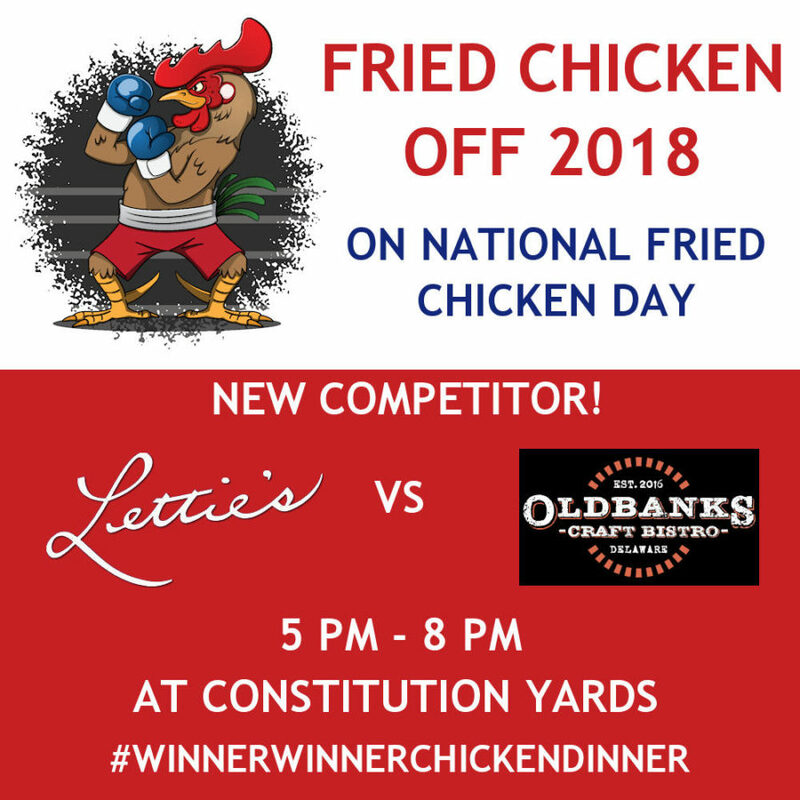 Old Banks Craft Bistro and Lettie’s Kitchen have been competing for the Best Fried Chicken in the state of Delaware hosted by Best10 & USA Today! Why have a competition if you don’t have the best!!!! Welcome to the Arena Old Bank Craft Bistro to the National Fried Chicken Day Fried Chicken Off 2018! Competitors: Lettie’s Kitchen VS Old Banks Craft Bistro! Come out & cast your vote for the Best Fried Chicken!